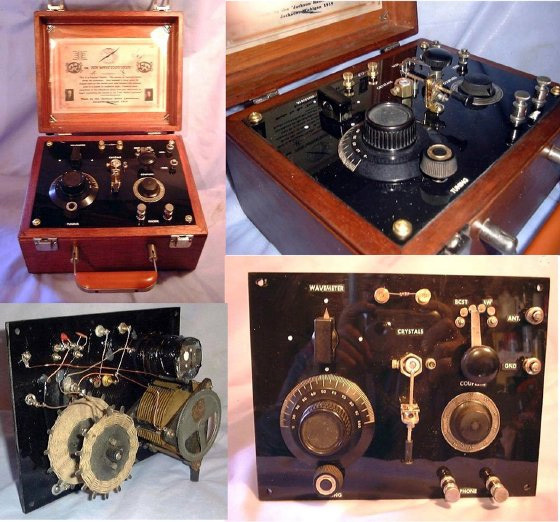 "CRYSTAL RADIOS AND SPARK GAP TRANSMITTERS"
"Built to order by, AIRWAVE EXPLORER LABS"
These are a sample of some of the Crystal Radios I build. My Father and Uncle had a shop in Jackson, Michigan from 1919 until 1929. 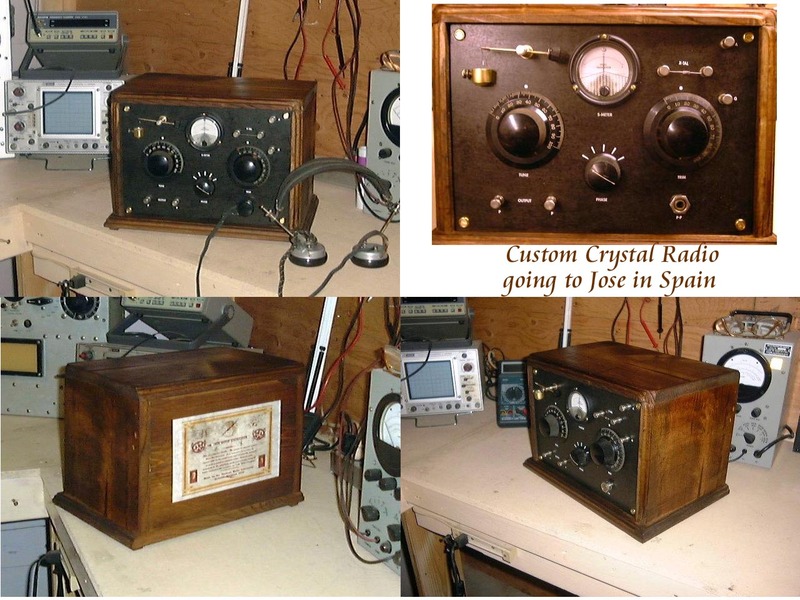 They designed and built custom Crystal Radios to sell. 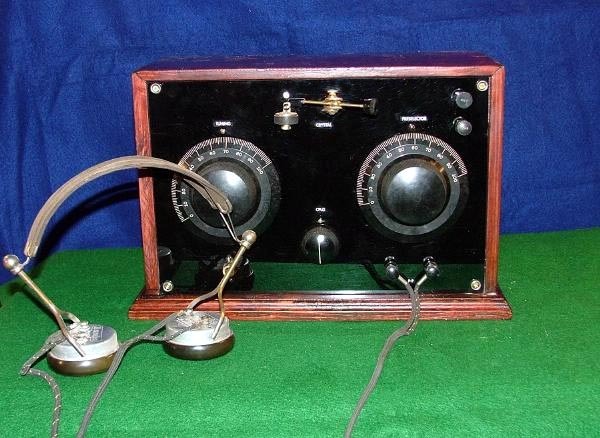 I am attempting to relive those Golden Times & Days of Radio by following in their footsteps. 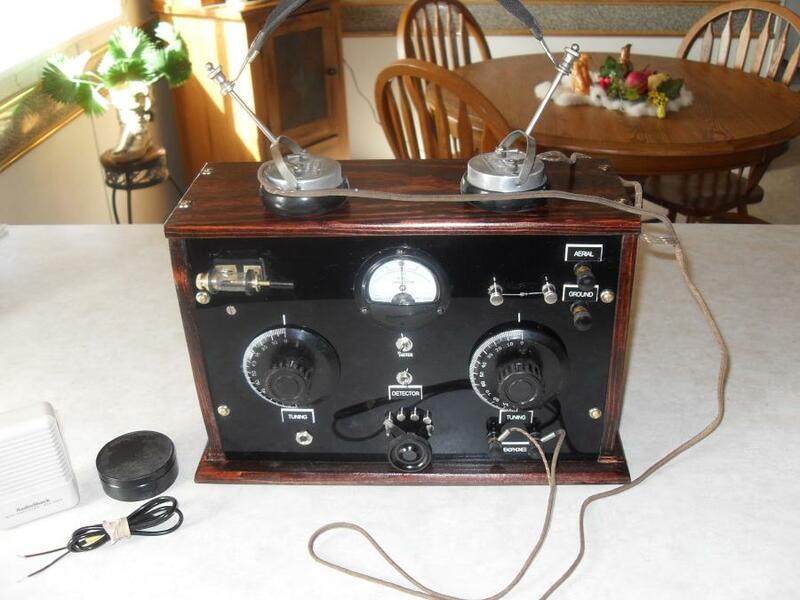 I have been a Ham Radio Operator for over 70 years now. 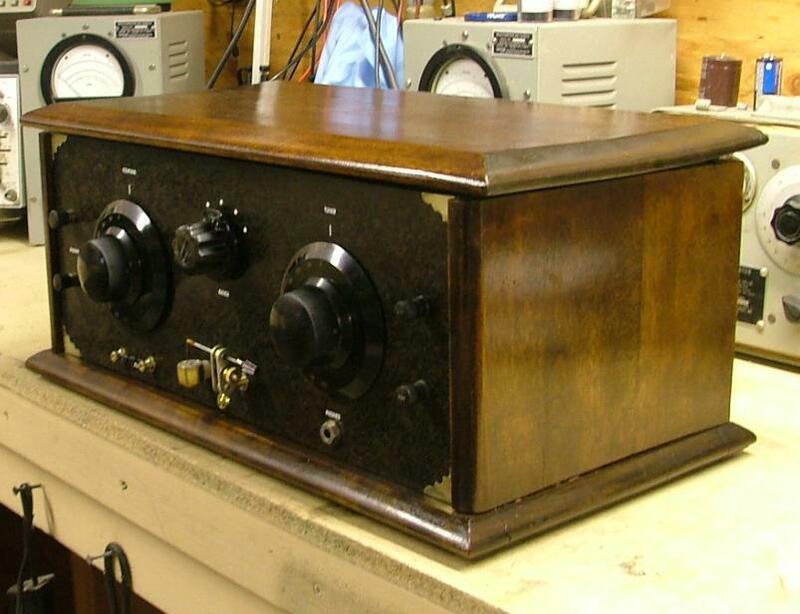 This has given me the experience to hand build these radios. 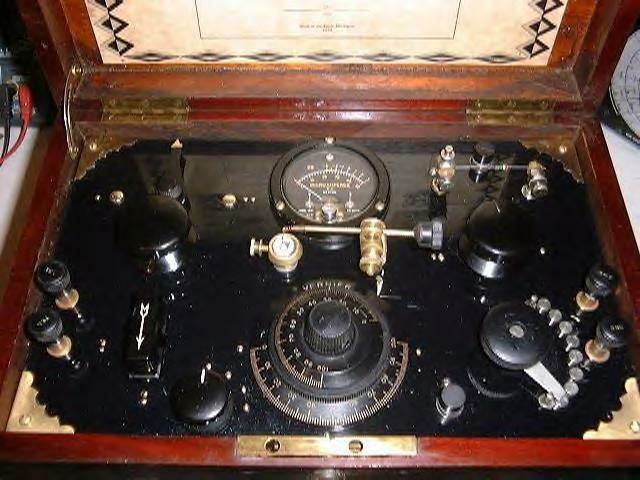 I am trying to follow the schematics and designs my Father used. I use as many vintage parts as I can. I try to always use old tongue and groove, box joint, finger joint and dove tail boxes. I test and "Pot" my own crystals. 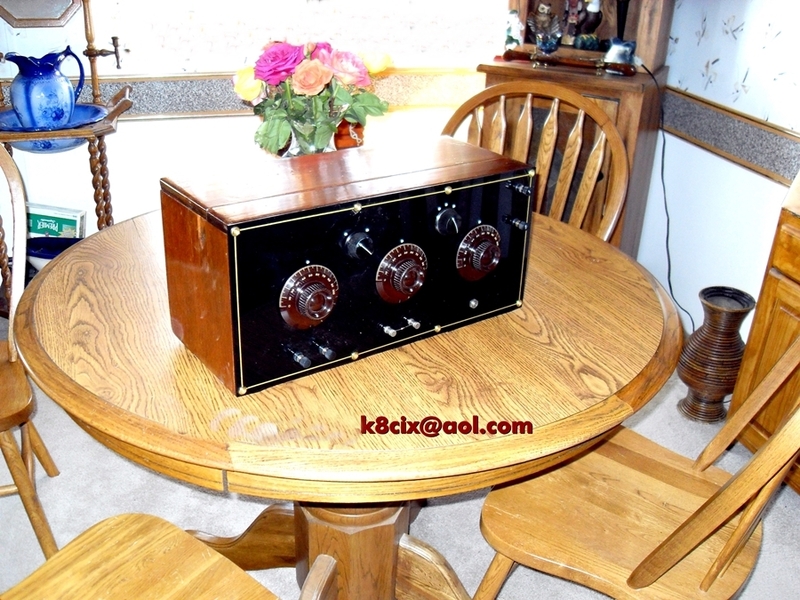 I can build you a radio per your specifications or mine. Using your box or mine. I have reproduced a logo that is attached to every radio I build or recondition, to pay respect to my Father and Uncle who have inspired me in these pursuits. Their shop name was the Jackson Radio Lab. 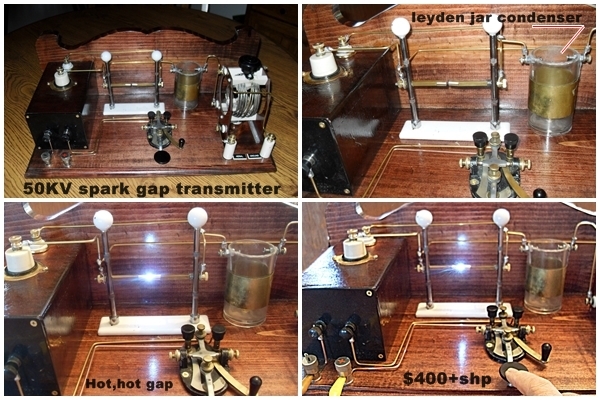 These spark gap transmitters are meant to be for demo or display, but are functioning transmitters. 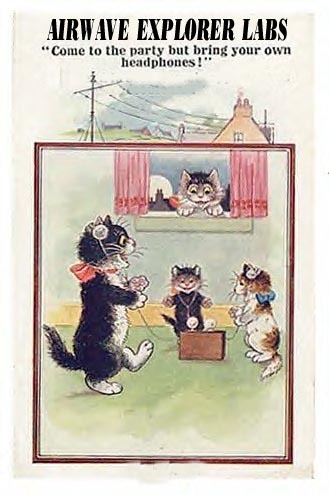 and are not to be connected to an antenna or ground and operated. 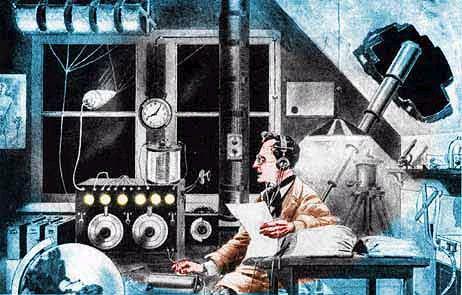 It is illegal to operate a spark gap transmitter connected to earth or aerial. I accept, checks, or Money Orders. 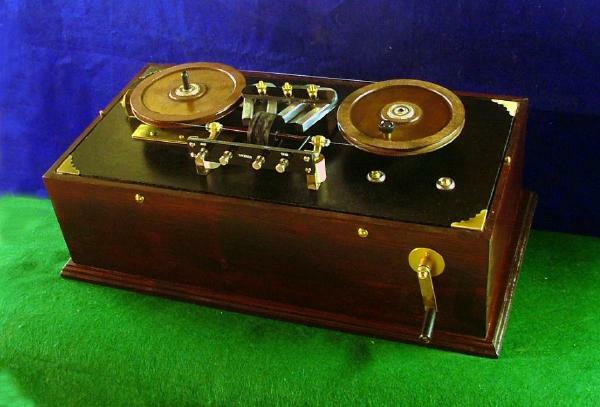 So light up that old oil lamp, put on your headphones and travel back in time to the Golden Age of Radio. 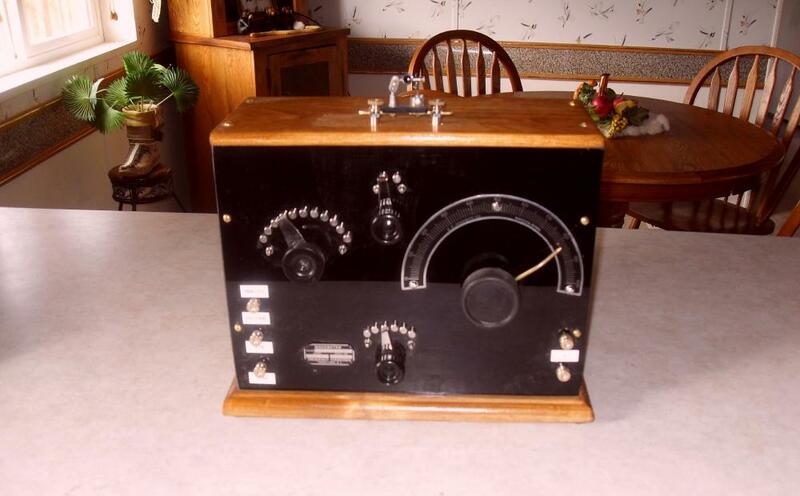 SOLD TO JIM IN N.Y.---A very nice, approx.. 50 watt, reconstructed, Spark Gap Transmitter. 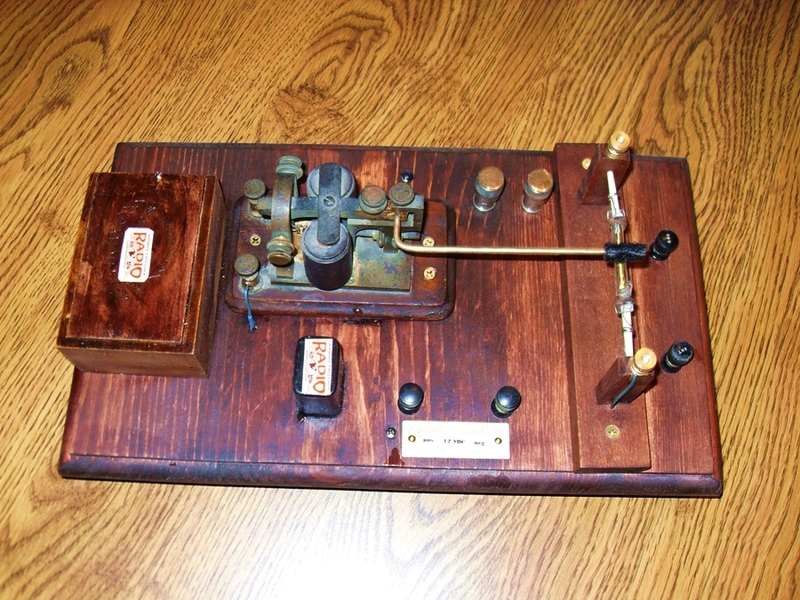 This is a close copy of my Fathers Ham Transmitter of the 1900’s. 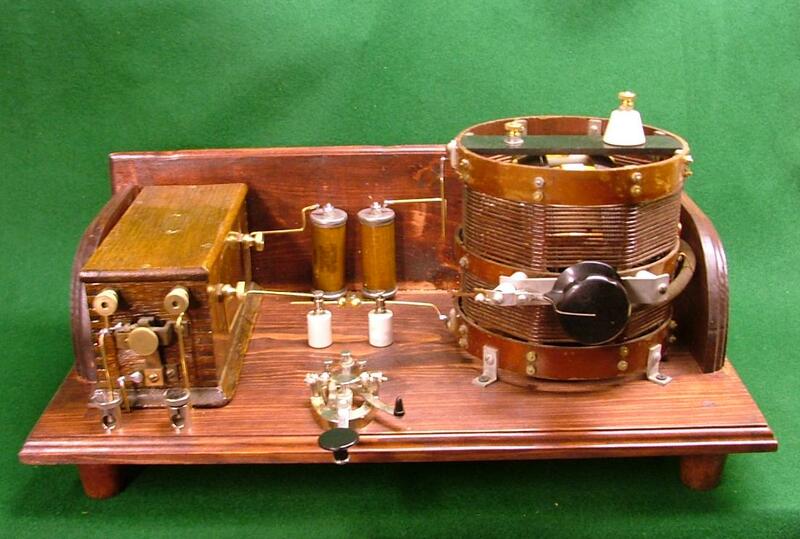 Many of the original parts were used in the reconstruction. 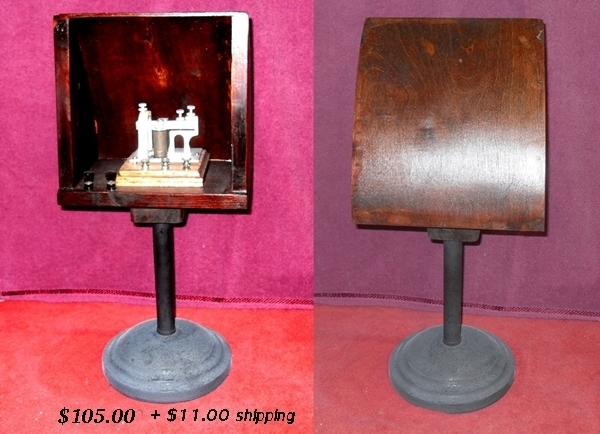 Battery post, ant. & grd. posts, key posts. 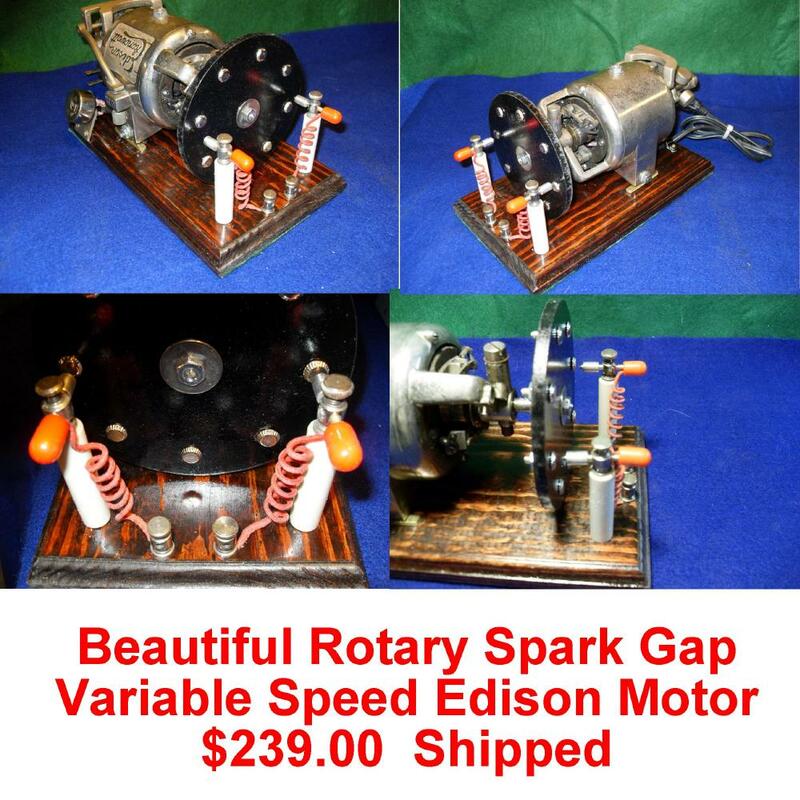 Adjustable spark gap. 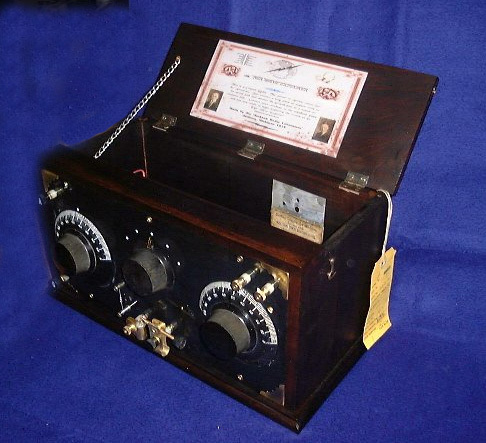 His receiver was a Cohere receiver later a "Magnetic Detector" was used. Aprox. $20 shipping. 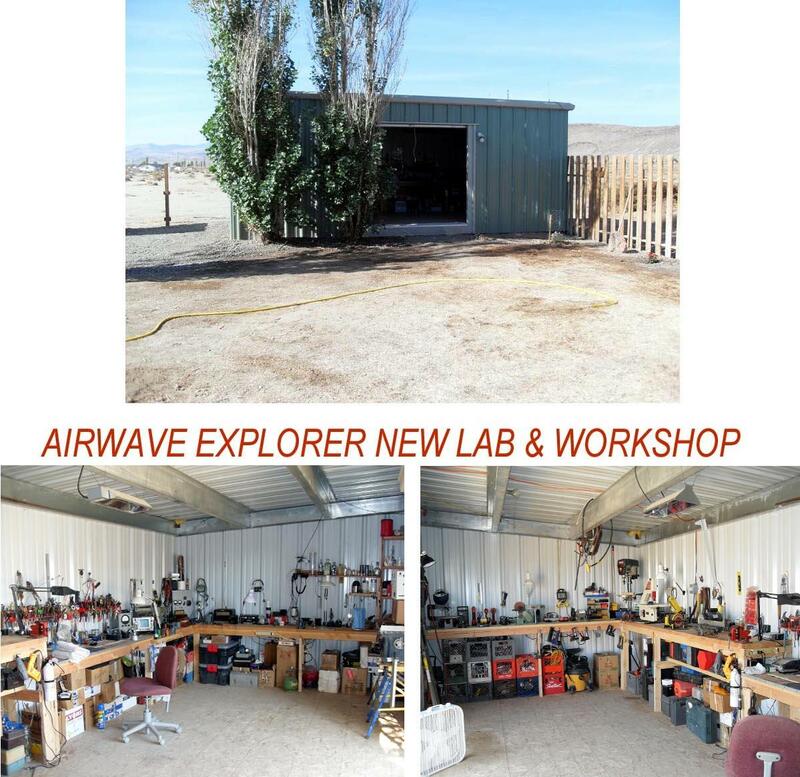 Thanks for looking, Roger K8CIX, Airwave Explorer Labs "
SOLD TO JIM, N0XE---Thanks Roger, K8CIX "
"Sold to Jim N0XE --- K8CIX -- Airwave Explorer Labs." 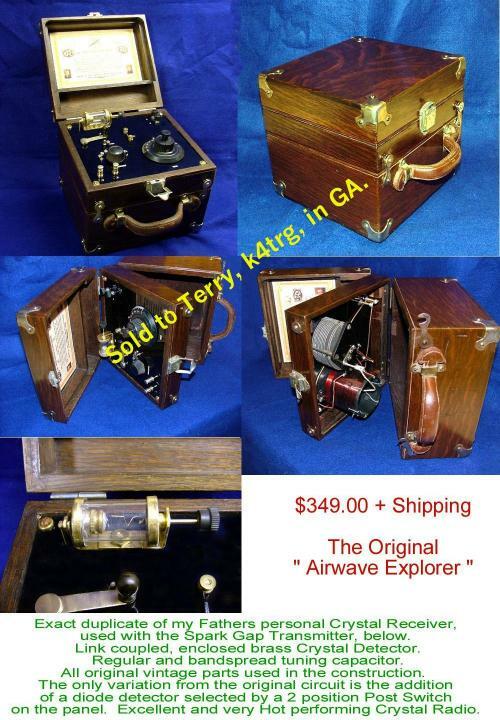 Sold to Jim N0XE --- K8CIX -- Airwave Explorer Labs. " "The "Wave Raker". 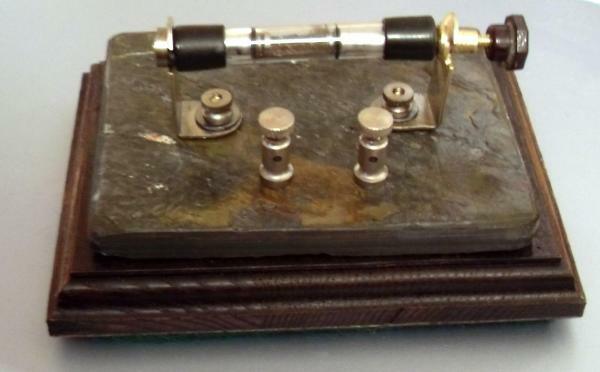 Super Crystal Radio, BUILT FOR JIM, n0xe "
"Night Scanner", Crystal Radio, built for John, N3EHL." 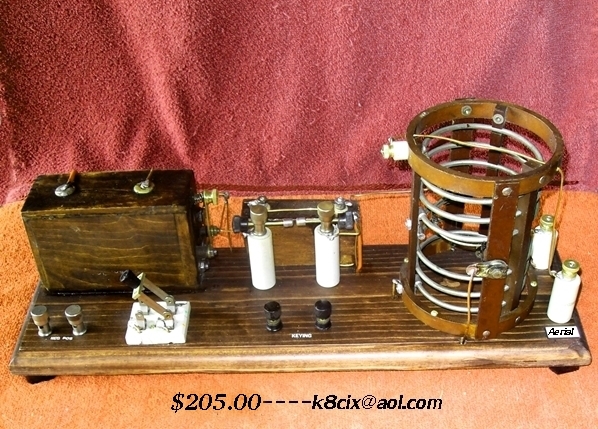 "New, 50KV Spark Gap Transmitter for sale Demo only, no ant. or grd. is allowed by FCC. 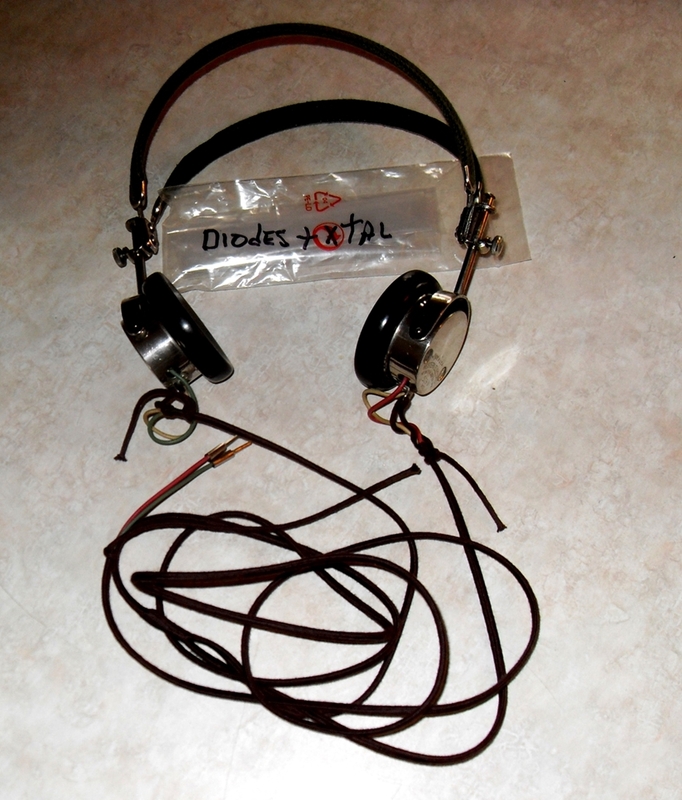 Sold to ALEX"
"Dodd Vintage Crystal Radio, built for Jim, N0XE." 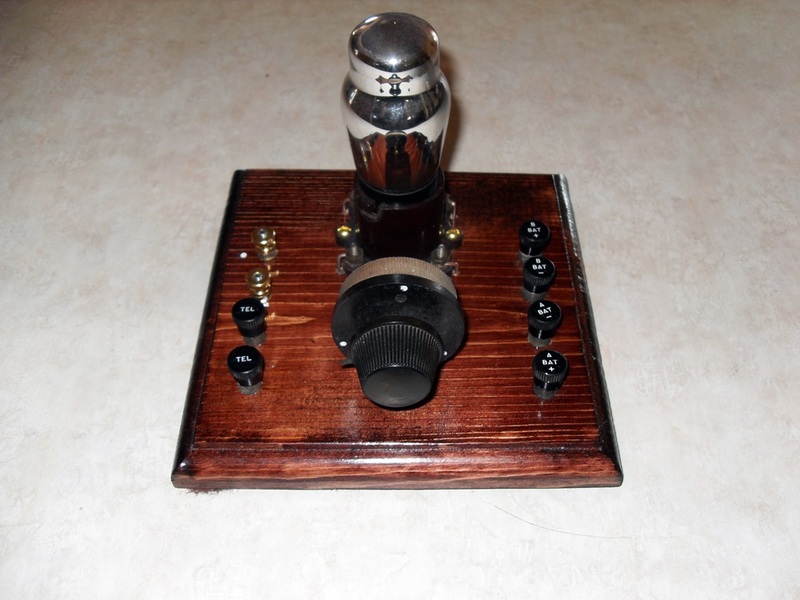 "201A vintage 1 tube amp., built for Jim, N0XE." 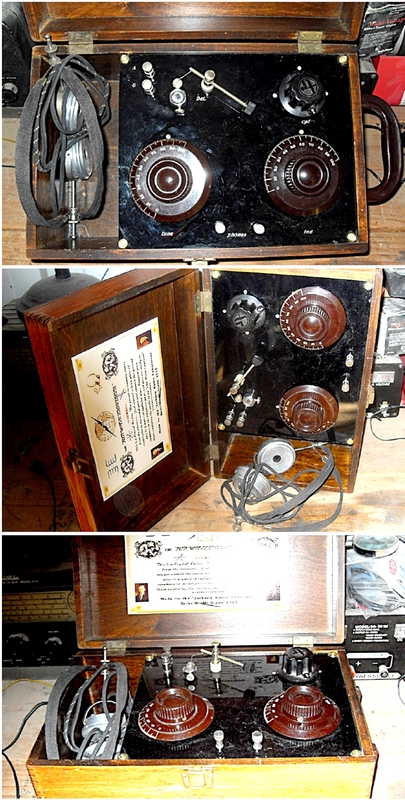 "Cohere Receiver built for Jim in New York." 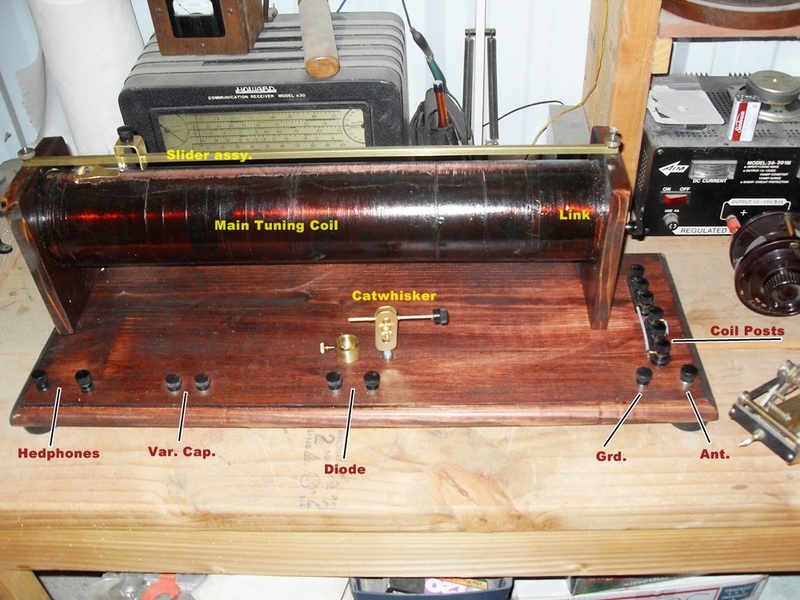 "Ducretet Crystal Radio, French, reproduction, ordered by Neil K8RX"
"Crystal Radio going to John in Australia"
Example of a Custom Built Spark Gap Transmitter"
ROTARY SPARK GAP, "SOLD TO ANDY"
CRYSTAL RADIO, "THE STAR" Excellent crystal radio with catwhisker and fixed detector. Hi-Z and Lo-Z coupling of link to tank. SOLD--SOLD. 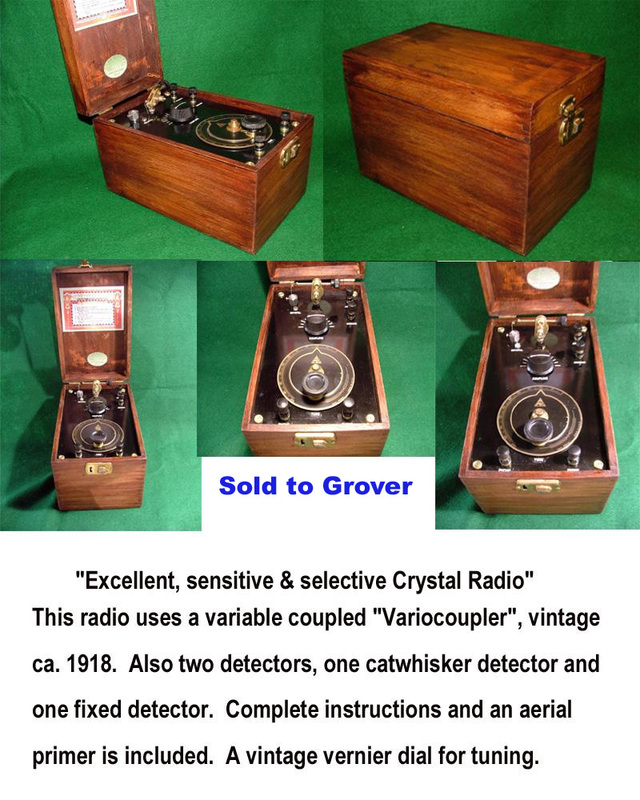 Latest addition to the Crystal Radio Receivers, Sold. 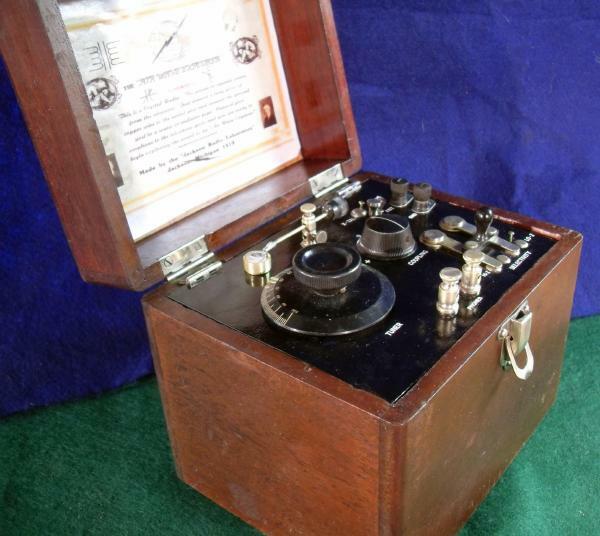 "Custom Radio going to George in Moscow, Russia"
"Custom Radio going to Jan, N5YPK"